If you enjoy the Disney Parks Blog, then beginning today, you’ll want to start tuning in to our new newscast called “Inside Disney Parks.” This first-of-its-kind video series will feature the best of Disney Parks storytelling for you and your family. It’s what’s happening at Disney Parks right now! Each “Inside Disney Parks” will be driven by our latest news and top stories as well as video not shared on any of our other platforms. 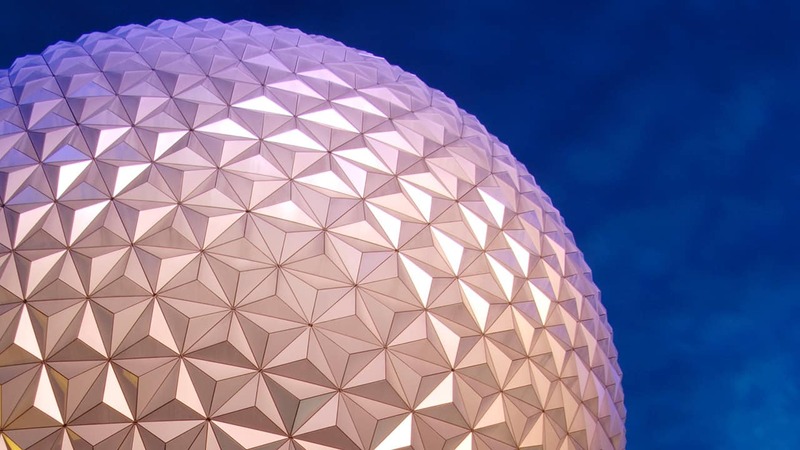 We’ll be traveling the globe every month, to all of our world-class Disney destinations, for an official insider’s look at what’s happening now and in the future – with a touch of nostalgia. Right now, the best way to find the show is right here on the Disney Parks Blog or subscribe to our email newsletter. We’re excited to hear what you think so let us know in the comments. Also, check out the notes below for more details on some of the news covered during the show. Disney’s Animal Kingdom Awakens at Night – Beginning Memorial Day Weekend, guests can enjoy a plethora of new experiences at Disney’s Animal Kingdom. Jennifer Fickley Baker takes us behind the scenes as the Tree of Life prepares for nighttime awakenings. Luigi’s Rollickin’ Roadsters at Disney California Adventure park – Luigi turns the tire storage yard behind his Casa Della Tires into a dance floor. Erin Glover goes for a spin with blog author Michelle Harker for a special look at the attraction. Neel Sethi visits Disney’s Animal Kingdom – For the summer, Discovery River will become the stage for a limited-engagement show inspired by Disney’s hit live-action film “The Jungle Book.” Neel Sethi spent some time talking about the film and enjoying the park. Timelapse of Tree of Life at Disney’s Animal Kingdom – The Tree of Life is the centerpiece of Disney’s Animal Kingdom. From our “Vault” segment, check out the construction of the tree from ground up. New Star Wars-Themed Experiences This Summer – There’s a lot of fun in store for Star Wars fans this summer at Disney’s Hollywood Studios. Shawn Slater, Sr. Creative Entertainment manager and blog author, shared details and more during this episode. Love the show, short, simple but lots of content. How do I apply to be a corespondent for your show?!? Love the video newscast! I can’t wait to see more. How often will a new episode be posted? I would love to see a new one each week. Thank you. Definitely keep these coming. It has a little of the feel of the old Walt Disney World Inside Out. I miss that show. Is there a separate subscription to get the new ones or is it through this blog? Can we get a podcast feed, please? Loved the newscast…really enjoyed it! Keep up the good work! Thanks! I really enjoyed this. Great coverage on each topic! Can’t wait for more! Love this! Keep them coming! This new series is so high quality! I especially love Elyse and her passionate way of speaking. I look forward to watching more of these! So Inside Disney Parks will never have any new information? It’s just all recap? Also, Is Soarin’ the only experience that has an exact opening date? Hi Jamie, these newscasts will include new video about what’s happening at Disney Parks along with other surprises. I hope you keep watching. Thanks for the comment. This is going in a really great direction! I’m excited to see where this goes! Thanks, Myka. The team is already working on the next “Inside Disney Parks” newscast. Stay tuned!